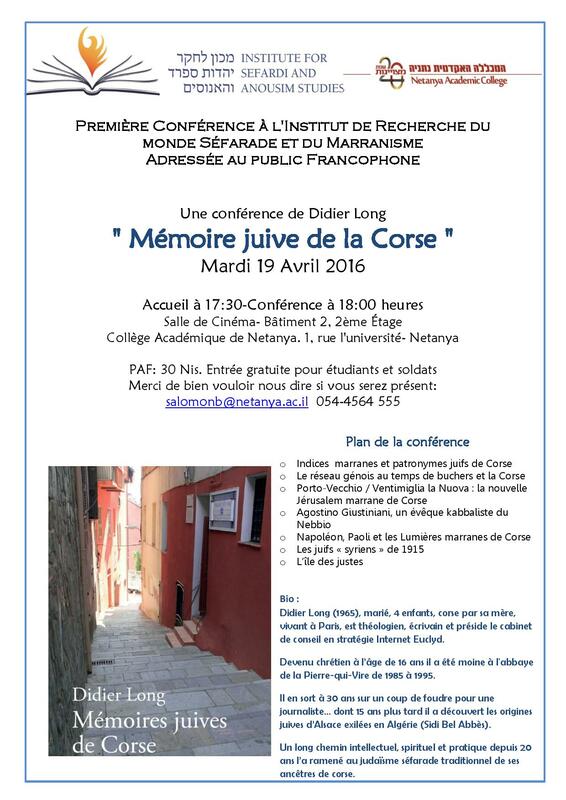 On April 19, the ISAS is hosting an event featuring author Didier Long, who will speak (in French) on his new book about the Jews of Corsica, “Mémoires juives de Corse.” His talk will include Jewish names and Marranos in Corsica, as well as significant events in Corsican history. The event will take place at Netanya Academic College. For more information, see http://www.netanya.ac.il/FrenchSite/Le-College-Academique-De-Netanya/Presentation/Evenements/Pages/de-Didier-Long.aspx.